The Magic of Friendship written by Subhash Kommuru tells of how rumors spread can be way different then what really happened. 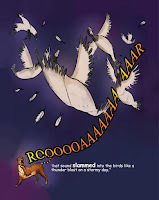 In this case the birds were afraid to fly over the jungle because of the stories they were told. During the story something happens to change everyone's mind. In life people will say things about others but they don't always have the whole story, and you might be surprised to find out the stories that were told are no where near the truth. Great book for teaching children to make friends with everyone, you just never know what kind of relationship you might be missing out on. 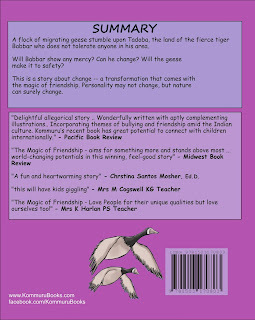 You can purchase The Magic of Friendship on Amazon. What Kommuru has to say about her book. 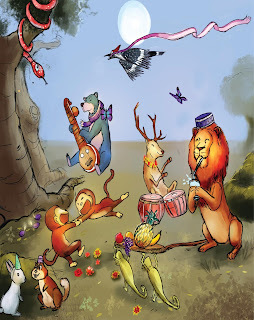 Looking for a Diverse children's picture book with mesmerizing illustration and indulging story? 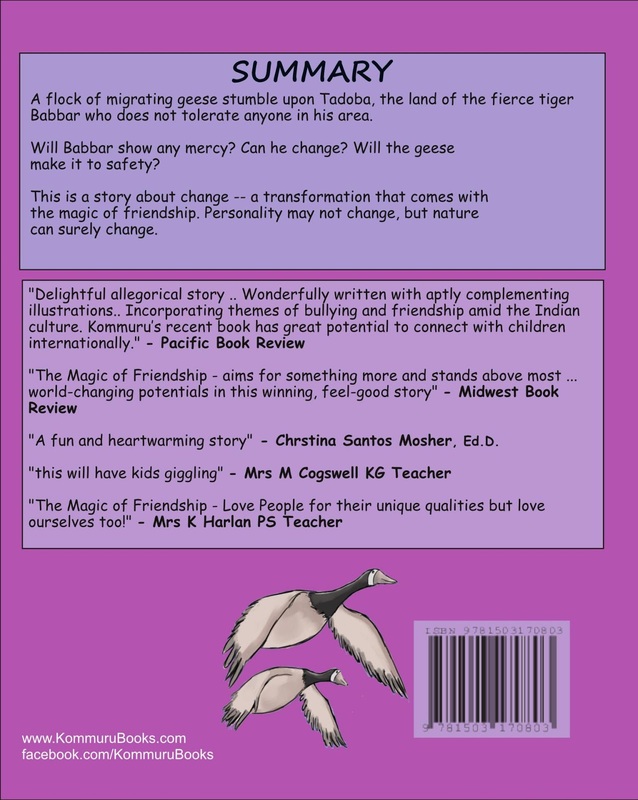 Get your hands on "The Magic of Friendship", a feel-good thriller which will have kids giggling and engaging from start to finish. Story has Indian theme with a global appeal to it. This title is also available in Hindi language (Anokhi Dosti). Does a smile or a laugh have trans-formative power? It does in a special place called Tadoba. The Magic of Friendship is a remarkable tale of the trans-formative power of companionship, particularly for someone who is lonely and never really had the gift of laughter. A flock of migrating geese stumble upon Tadoba, the land of the fierce tiger Babbar who does not tolerate anyone in his area. Will Babbar show any mercy? Can he change? Will the geese make it to safety? This is a story about change -- a transformation that comes with the magic of friendship. Personality may not change, but nature can surely change. 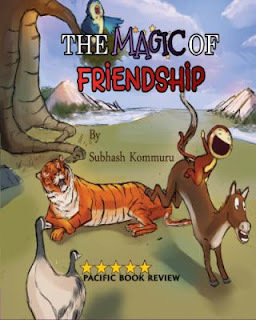 Guaranteed to get a giggle out of kids, The Magic of Friendship also provides plenty of opportunities for readers to connect with the characters in richly detailed, mesmerizing illustrations. The focus is on friendship and its healing effect while the story is spoken from the viewpoint of a father and son in a multi-generation relationship. These picture book is perfect for read-aloud fun and is also appropriate for beginning readers. You can find out more about Subhash Kommuru here. Disclosure: MarksvilleandMe received one or more of the products mentioned above as part of a promotion with Tomoson. Regardless, MarksvilleandMe only recommends products or services we use personally and believe will be good for our readers. Some of the links in the article may be “affiliate links.” This means if you click on the link and purchase the item, I will receive compensation. If you would like MarksvilleandMe to review a product or service please contact us at marksvilleandme@gmail.com.